A few weeks ago I received an email from a beautiful young lady who has the dream to fly. Before we learn about her, I’m going to share her letter because her words speak volumes of who she is. So often we focus on what we “do” in life. But who we are—our dreams, aspirations, attitude, and willingness to work hard for what we want, says so much more about us. “I found your blog when you wrote something about my friend, who happen to be my inspirational idol, MOANA ISHAK or Ona. 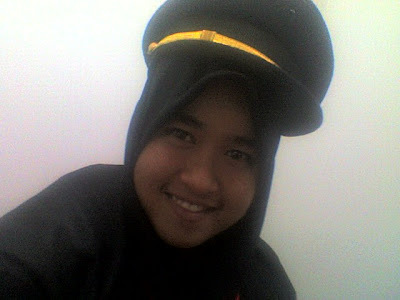 She's one of amazing woman that manage to become a pilot and I too, want to become like her. My ambition is pilot but since my family background wouldn't allow me to follow my dream easily, I know I had to take the hardest way. 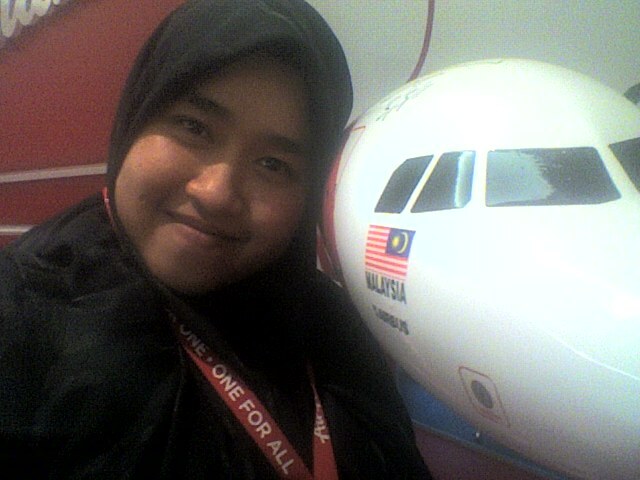 And I am...Currently I'm working at Airasia as a ground crew and everyday, its awaken my heart each time I saw an aeroplane and flight... it brighten my mood when I saw a cabin crew. I am 24 now and for most of pilot in Malaysia, 24 is the age of them start flying but me, its the age I start chasing after my dream like crazy, still not sure whether I will achieve it or not. There's a time when I feel like giving up but no! I CAN'T ! I have that dream since I was little and let go of it without trying even harder is the same as crashing a children pure dream. How could I do that to myself?! Your blog has taught me so much especially in 'TRUST YOURSELF' part.... I admire you. I will keep and keep and keep trying my best to achieve my dream... I don't care if I don't have any property, look so outdated in terms of gadget...As long as I can become a pilot, it's worth. Mima's story is one of encouragement and motivation. For all of us who think we hit walls in our life, and can't seem to get what we want, take a moment to read what Mima is faced with. The most amazing thing is... She is NOT Giving Up! She never will. She will succeed. "When I watch this video, (Click HERE to view), I will definitely feel happy and inspired to do better. He was right, while we chasing our dream, what matters is not the goal but the things that we get along the journey while chasing the goal... although at the end of the way, the goal will make everything sweeter. I think I'm experiencing it right now. The first time I finished my study, the journey of becoming a pilot seemed hard for me. I had to take the hardest steps since my parent didn't support what I'm doing. They said, it’s impossible for woman to get married and become a pilot. I feel sad and discourage for a moment but it doesn't stop me from what I'm doing. I have been dreaming and keeping this ambition since I was kid and guess what, my parent who make me loves aviation. Since we're coming from poor family and our house situated not far from airport, every weekend, my father will brought us to the airport as a weekend activity and since that time, I started developing this unexplainable love toward aviation. Pilot and aircraft amazed me. I started collecting all the info's since I'm 15. 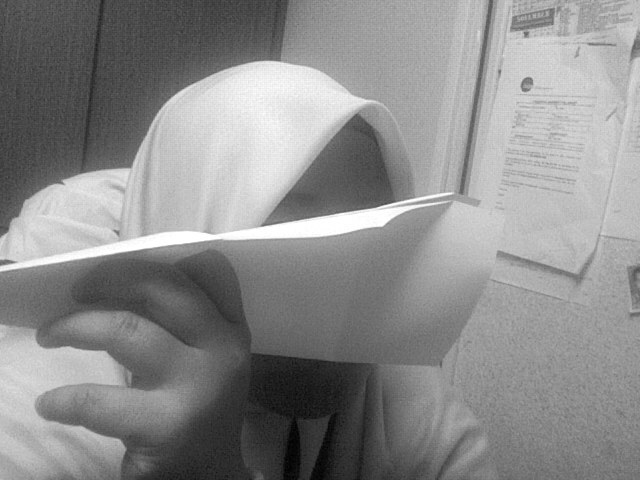 I bought the old magazines that cost RM1 and I watch TV, I saw Ona there and decided to write letter to her to show how I adores her for being one of the first lady pilot in Malaysia. She replied me and since that time I become her friend. She always encourages me to work hard and that's why I looked at her as my idol. I once got an interviewed from private flying academy after being shortlisted from hundreds of applicant. I feel lucky to be part of 50 shortlisted candidates. I still remember when the admin gave us a small book of basic engine. telling us to understand and memorize it. I did! it was hard but I did it. Unfortunately I still lack of interview knowledge as it was my first ever interview experience and its related to something that I desire the most. I feel pressured and failed the interview. Those three man, they said this to me before I walked out from the room. "JUST TAKE ENGINEERING CUZ YOU KNOW FEMALE IS IMPOSSIBLE"
That time, I take that word without thinking that they actually put some test on me. If they rejected girls then why among many applicants, they only shortlisted two girls. I should have known better but I take that word as a challenge. Considering how hard it was for me to attend the interview. I only have RM50 and need to survived at Kuala Lumpur with no relatives and risk and with my father disapproved my decision. It was so hard that I cried before I sleep. The only strong support that I get was from my brother and Ona. My brother always tell me that since he can't joined cabin crew carrier due to health problem, he wanted me to continue his dream. I lived until today with his support and encouragement. When everyone looks down on me, he always lift and embraces my dream, telling me not to give up. NEVER GIVE UP! I joined the contest made by Airasia for 'SO YOU THINK YOU WANNA BE A PILOT' blog article. I send my application and failed. I tried my luck on HONDA scholarship for aspiring student by sending my work of article and failed. I remembered when I search for my high school teacher just to ask her to proof read my article just to make sure all grammar is okay, I'm so happy that she still remember me and willing to help. I feel so sad when I failed and she told me I should try again and again and again. I told my uncle, hoping he could help me applying sponsor since he's a rich man with many influence friend but all I got was a laughter from him. Big one. I went to second interview with different flying academy and this time, I put aside all the point of failures during first interview and try my best. I DID IT!! They accepted me. The captain even said to me among all candidates, he saw me as the most aspiring one. 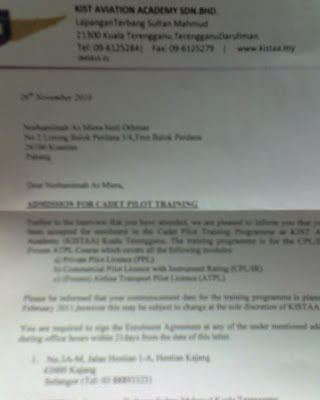 I prepared everything including the approval letter from Malaysian Civil Aviation letter. I received my acceptance letter and started to search for financial source and loan. This is when another failure strikes me. I failed again. I couldn't find any loan because most of previous financial source has stopped sponsor the aspiring pilot. After that, I called for my final chances which is student loan department for Malaysia and they give the same reason as the first financial loan source that I applied. NO ROOM FOR PILOT WANNABE SINCE THE COST IS TOO HIGH. Can you imagine how I feel? I don't have any chance at all anymore. The feeling of giving up has taken control of me. I feel so give up. I send a text message to the interviewer from that academy that accepted me and he felt sorry for me. But he still said 'I WILL WAIT FOR YOU, AS MY TRAINEE'. When the chances seemed thinner, I started to think of my dream will just be a dream. 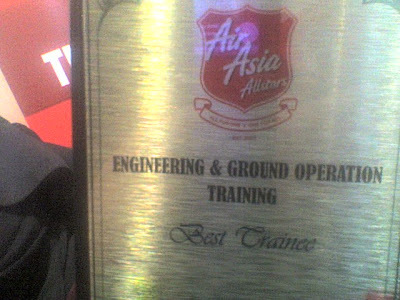 All of sudden, I try out for Airasia ground intake and succeed. 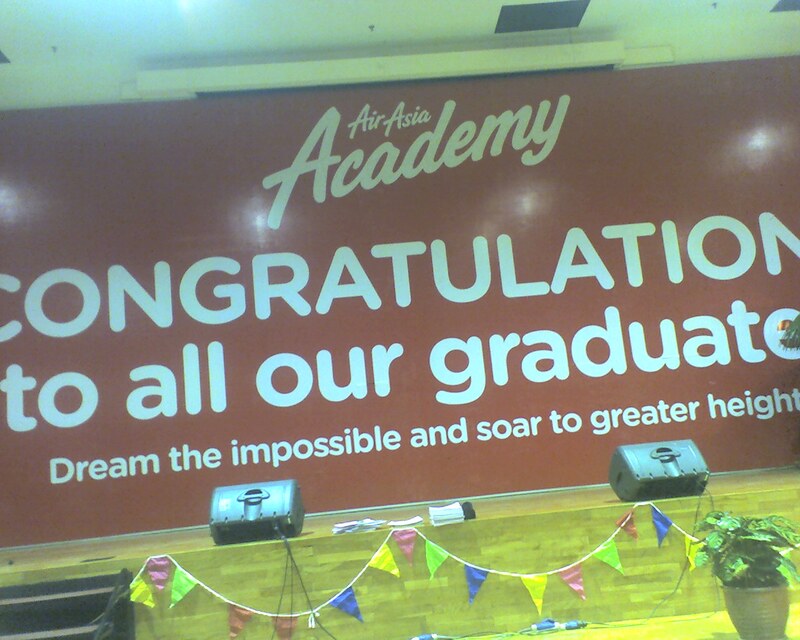 And here I am, become one of Airasia Ground Operation staff with a deep ambition to try out for cadet pilot. I almost forgot that I still have one more chances which is by applying as a staff. This is my last chance. Nothing more so I will struggle hard for this. My first sweet achievement is when I get the 'BEST TRAINEE' award among my batches. It does lifted my spirit as the trainer once told me ' I SEE YOU WITH BIG FUTURE'. I couldn't help but thank him with teary eyes. I know I have a chance. At least I still have tiny bit of chances. Working here makes me happy to get to see aircraft EVERYDAY. To get to see PILOT EVERYDAY. Its like I will get to see my aspiration (I looked all all pilots as my aspiration ). 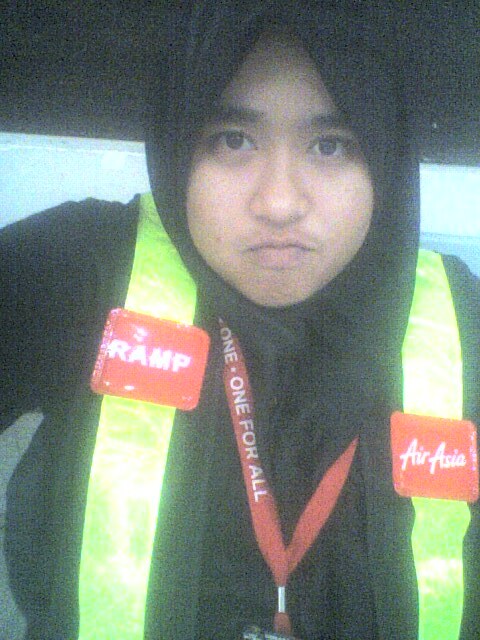 I still remember before I get the job here, I will sleep at KLIA without going back home with money that only enough to pay my bus ticket just because I want to see pilot and aircraft. I don't care if I'm hungry but seeing them walking with charismatic look, all is worth. I shivered that night because I don't bring extra clothes. My friends mad at me for doing something stupid and she even cried saying that why I have to love aviation this much. I know she feel worry. Mima tells me she is not a student who excelled at school, and she didn’t come from a wealthy family to afford to assist with her dream. But she says, “I am willing to struggle hard to achieve it. Someday, when I managed to get what I want, become what I want to be, I will walk with free steps and thank everyone. Day by day, I began to think that God gives me a long path compared to everyone else but within the journey, I gained something important. Friends, experience, motivation, satisfaction. You are an amazing young lady Mima. Keep your dreams alive. Never give up. You will achieve everything you want, because you're enjoying the journey. Mima shared another of her favorite videos with me. You can see what Mima fills her mind with... the good stuff in life. Click HERE to view. Raudzah, you will make it. Struggles are just life making you strong. Enjoy the journey like Mima and your life will be a success. Thank you for your comment! Wow, what a powerful and touching story. Mima has grown so much and learned so many life lessons at a young age! I know she will succeed with that attitude of hope and determination. My favorite of the many wonderful wisdoms she shared with you: "I want to taste the sweetness of success and I know, for that, I have to swallow the bitterness.” You will go far, Mima! Linda, isn't that the truth... swallowing the bitterness. We all have, and she says it so beautifully. At such a young age to figure it out. Amazing. Thanks for your comment! absolutely nothing is impossible in this small world. Thank you so much for your comment. I know Mima appreciates it as I do. Never give up! The best message. Such a determined lady! I have no doubt that she will achieve all her dreams! Thanks Victoria, reminds me of another determined young lady. You know what determination will do. Thank you for your comment! Thank you Jun, I too am proud of her. Your comments are so much appreciated. A great weekend to you too. I know what you will be doing... studying! Have fun. Keep dreaming. And keep working. You will achieve your dream because you are not afraid of failure, but only look at success. You're going to be an incredible pilot. And much better than I. Why? Because you have the ability to learn all the lessons of those that go before you, including mine. Therefore, take those lessons, and build upon that knowledge and you'll be awesome! That's a good thing. Go Girl Go! I sat with the three girls we are sponsoring this morning, and told them that we are offering another 6 to start in September... it is not easy, not for us, not for them. Mima, you are only limited by your belief in yourself - as are the girls I teach, everyday... AND I will tell you now, Girls do it better - they are more detailed, more passionate and more determined - so, change the world, one flight at a time! Captain Yaw, what a fabulous comment! And so motivating. You should know! Thank you for always being there for everyone. I finally find out how to leave comment in this. Previously I tried with my livejournal but failed. I always wanted to say thank you so much from the bottom of my heart for posting a story about me that could inspire others. Plus, you're one of the most amazing woman that I've ever known and you also my role model. I wish I can be like you...a pilot and also a writer/author. I love flying and writing... and nothing can change that. Until now, the road become even harder. I tried my first ever cadet pilot sponsorship under Airasia for the first time ( and previously no matter how much I apply, none of it success... they really strict on this matter ) but I failed and I know it must be the math. Perhaps, I didn't prepared enough and never expect to see that kind of question and math always be my weakness point since I was in school. I will try again for the october tryout and hopefully they give me second chance. Mima, just keep working toward your goal. You will get there. We don't know why we have these troubles along the way, but it's life's way of being your personal trainer to make you strong. You will do it. You cannot fail if you don't give up. Seek out the support of others. Find a network of support. Keep enjoying what you're doing. This is a fun life, and I'm so happy to know you. I think I might need your advise and support too. For me, you're such a strong woman. Currently, I kinda have rough moment. It was really hard for me.... and maybe it wasn't really suitable to tell it here. ^^"
By the way, where can I found your book? is it available in worldwide bookstore??? Hi Mima, maybe you should email me. But, I'm on the way to Tokyo for a trip so I'll write soon. Also, maybe my book isn't the thing to pull you out of a dark place right now. But you can buy it on Amazon, or my blog. For now.. just take care of yourself. So motivational story...thanks for giving time to share it with all.